Over the past 30 days, nearly 2,400 earthquakes have hit the island of Hawaii as seismic activity soars, and an eruption from the Kilauea volcano forced residents of several subdivisions to evacuate their homes. Although you might not live in that part of paradise, if you live in a state that occasionally gets hit with earthquakes, you may have seen some broken dishes and upended furniture in the past. Lower breakables. Design an earthquake-friendly kitchen by placing your breakables on lower shelves and drawers. Glasses, ceramics and all other breakable kitchen items should be kept as low as possible, giving them the shortest distance to fall. Drawers over cabinets. If you can, opt for deep sliding drawers for your glasses, plates and bowls, as cabinets are known for popping open during earthquakes. While drawers, too, can slide, they're less likely to upend all their items. Employ childproof locks. Childproof locks aren't just for keeping children safe. Attaching them to your closets, cabinets and even your fridge can help keep your items snug should an earthquake hit. Secure the furniture. If you have certain pieces of furniture you're worried about shifting, consider securing the items using L-shaped fasteners you can drill right to your furniture, floors and walls. Hang low. 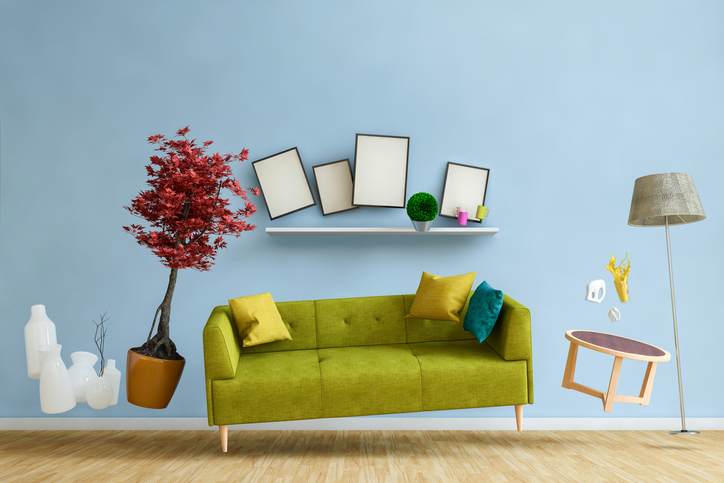 Hang mirrors and artwork low to the ground, and never above somewhere you're likely to be spending time, like that heavy mirror or large painting on the wall above your bed. Brace, bracket and mount. Make sure things like TVs, mirrors and shelves are properly mounted to the wall. Never lean breakables, like standing mirrors, which are sure to take a fall should your home start to rumble.